Katja Liebmann: Early Work, the artist’s first solo London exhibition since 2010, brings together five bodies of work from the artist’s early career which illustrate her on-going examination of the confluence of time, movement, and environment. 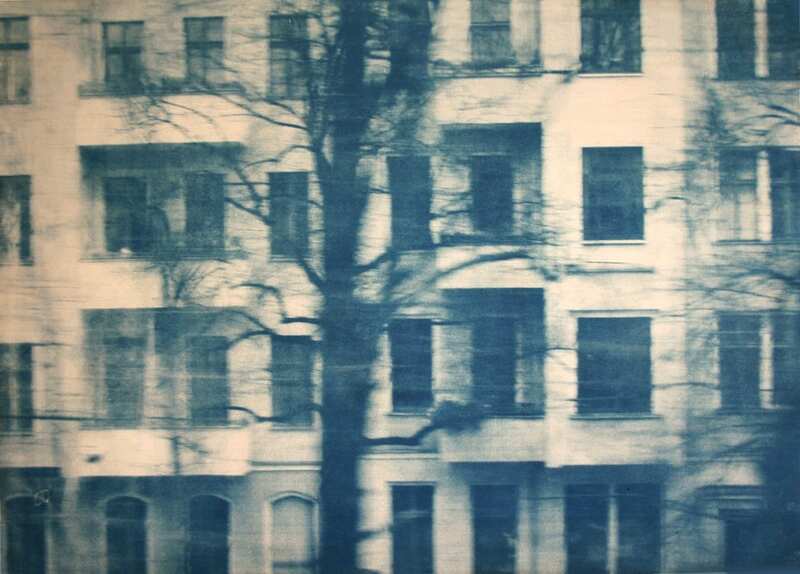 Katja’s use of early photographic techniques—the pinhole, kallitype, and cyanotype—further reinforces the theme of time, reflecting on tools of the past to emphasise the fleeting nature of the present. 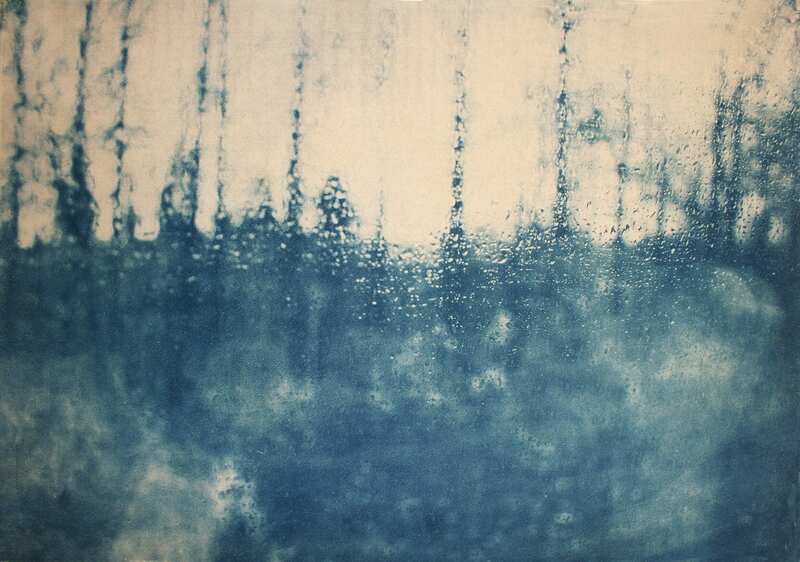 Katja’s process, she stresses, is not nostalgic. Instead, it is a study into our continual progression over time. 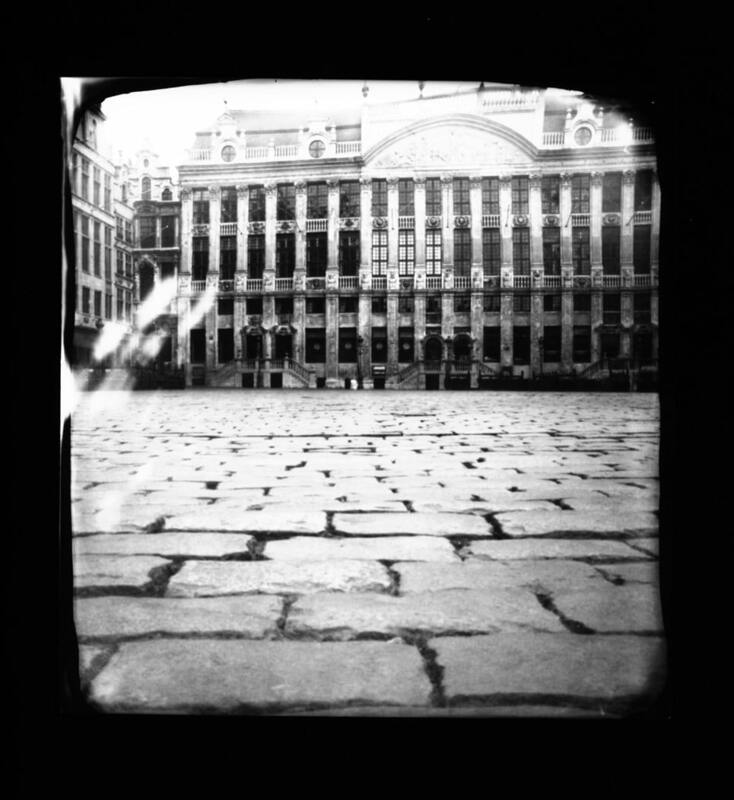 Pinhole photographs of Brussels and London are the earliest works on view. 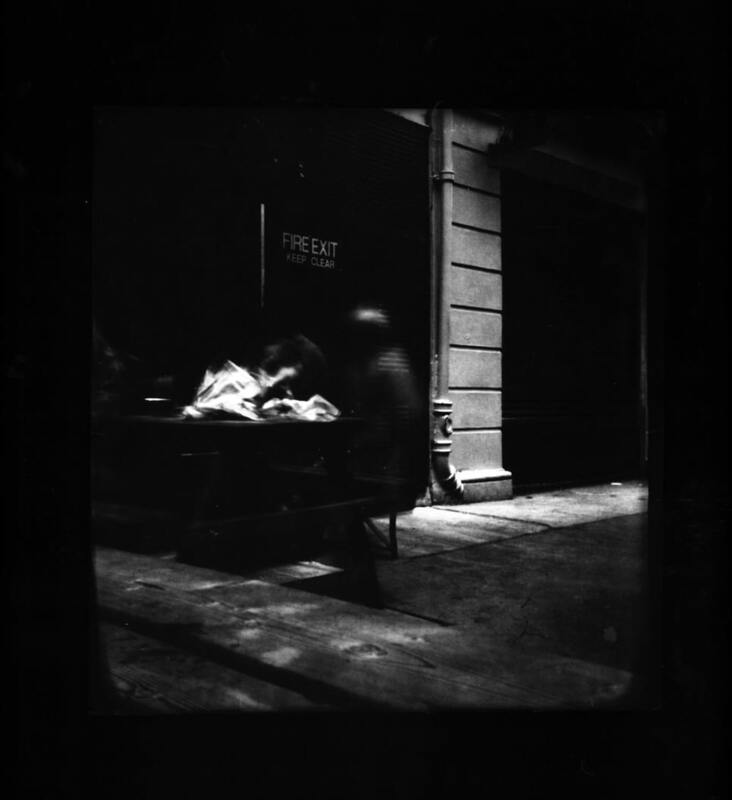 Although a steady flow of people passes by the homemade camera, exposure times of between 5 and 20 minutes render the bustling European streets empty and ghostly. An atmospheric, introspective feeling pervades and is carried through to the Gotham City series. 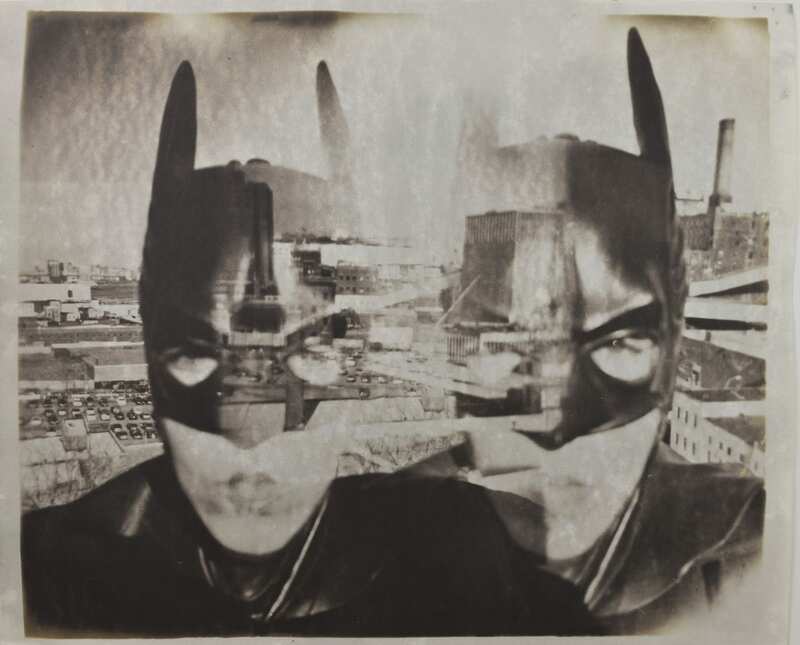 In the Gotham City self-portraits, Katja navigates the streets of New York City wearing a Batman mask. The multiple-exposure kallitypes call to mind questions of multiple self-hood while the mask references the anonymity that is granted by an urban environment. Similar to the multi-exposure Gotham City pieces, works in Berlin 328 and Berlin 200 combine multiple negatives in each piece. 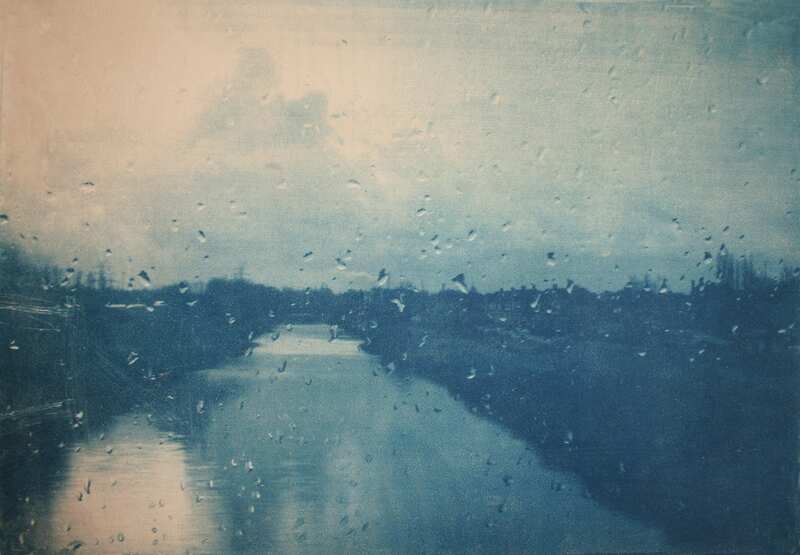 This series features blurred imagery of bridges and intersections taken from a seat in the number 328 and number 200 buses. Katja is a passenger on the bus and allows the bumps on the road to dictate when she presses the camera’s shutter button. 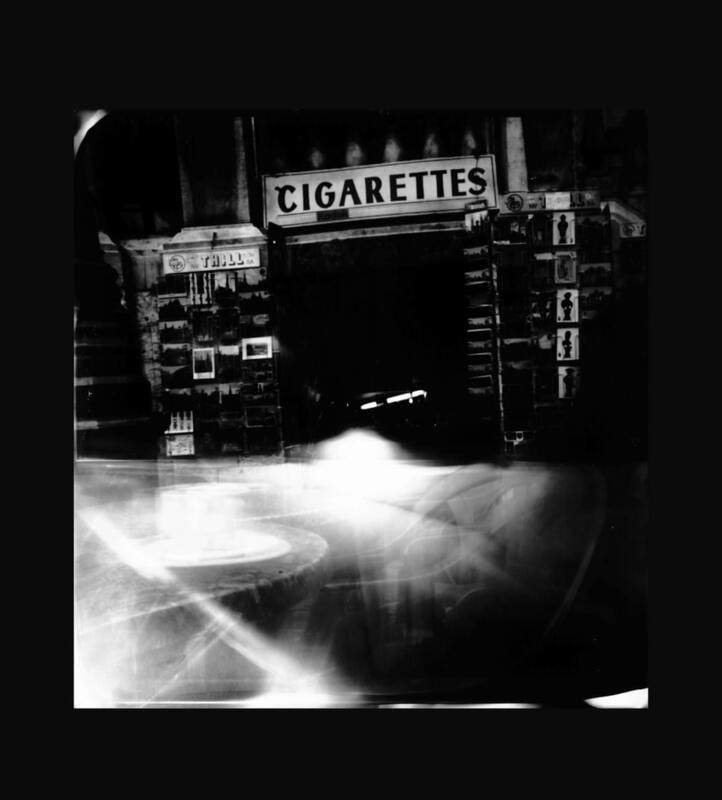 The overlay of images mirrors the constant movement of the city and marks the passage of time. 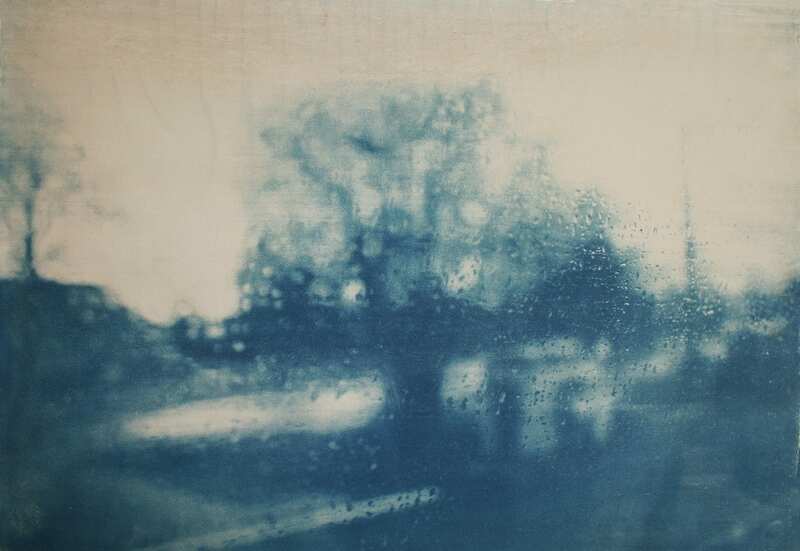 Journeys and Dwellings are both cyanotype series, created one year apart. 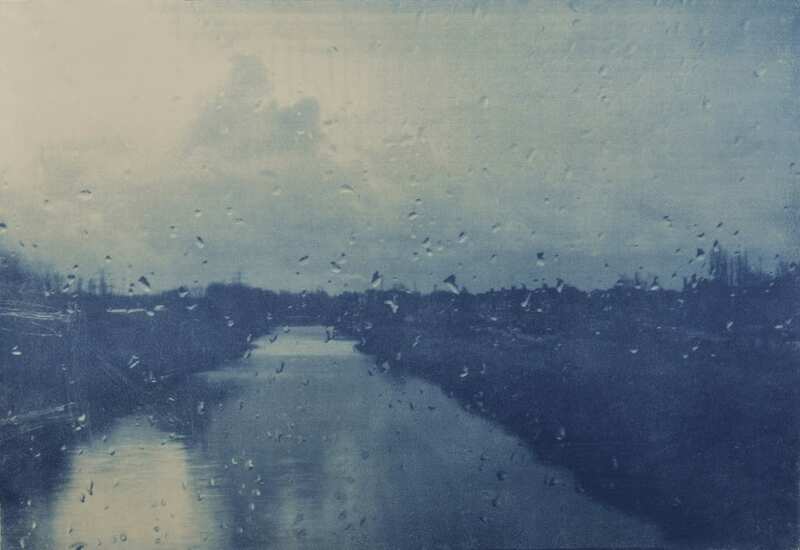 The Journeys photographs, taken through a moving train window, serve as a landscape of time. 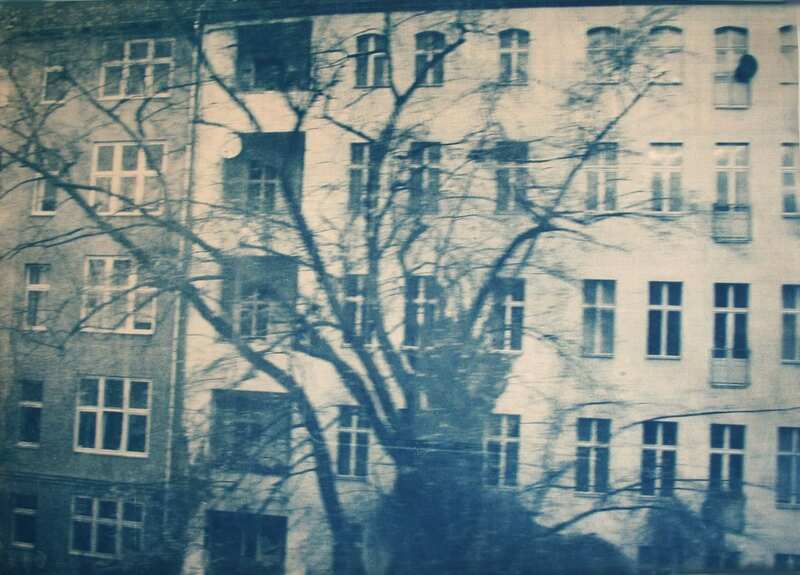 The process is reminiscent with that of Berlin 328. The goal is to capture speed and surroundings. 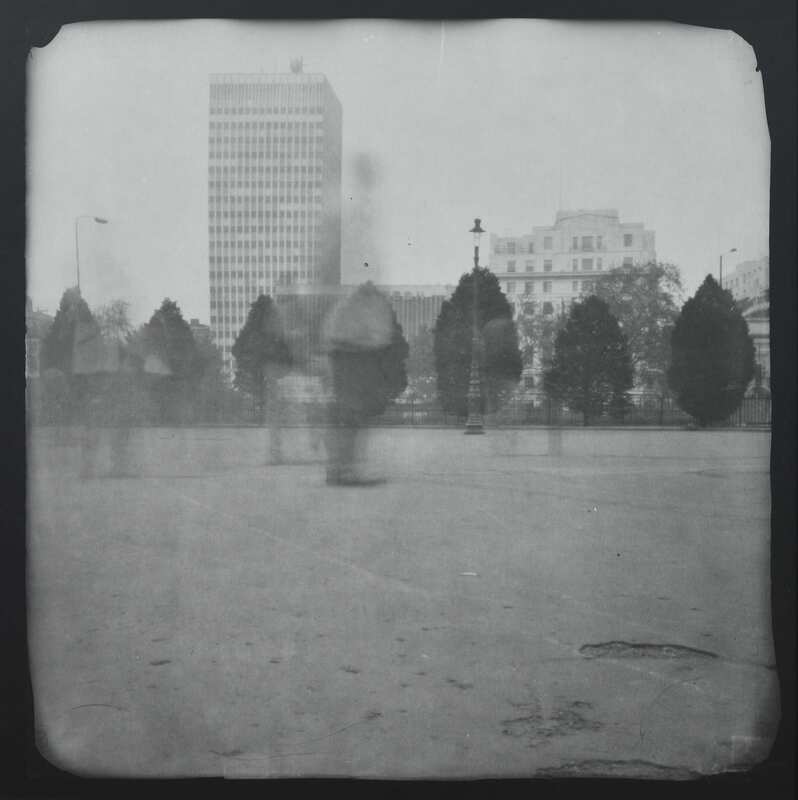 The landscapes, void of human figures, hark back to her early pinhole photographs. Now an outsider only visiting the city she once called home, Katja returned to her old neighbourhood to create Dwellings. 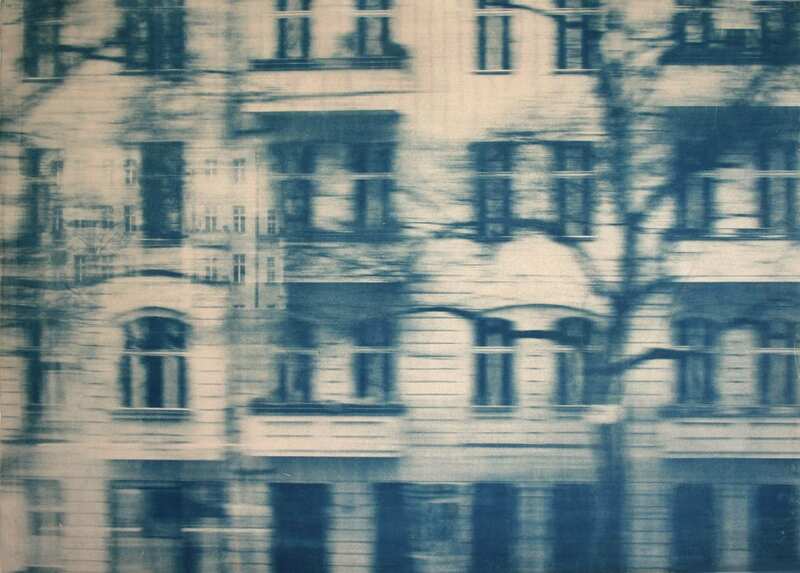 Memories of past places can be foggy and dream-like, a feeling that resonates with the softness of the images printed on handmade etching paper in Dwellings. This series brings the first chapter of Katja Liebmann’s early career full circle as her working environment moved away from Berlin. Only by looking back are we able to know where we now stand.